Great job Kickin’ It Old School (@oldschool80s)! Question: What sitcom starred an 11-year old robot named Vicki, short for “Voice Input Child Identicant”? Last Question: What British trio found a replacement for founding member Siobhan Fahey, who left the group after marrying rock star Dave Stewart? Siobhan Fahey was an original member of the trio Bananarama. Together, they had some smash hits, including “Shy Boy“, “Cruel Summer“, , “I Heard a Rumour“, and “Venus“. 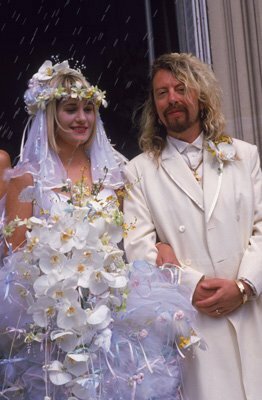 In 1987, Fahey married Dave Stewart of the Eurythmics in 1987. In 1988, Fahey left Bananarama, and formed her own group, Shakespears Sister. Siobhan Fahey and Dave Stewart had two sons. The couple divorced in 1996.